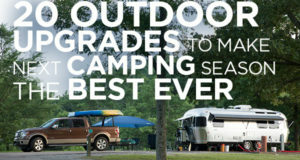 We tend to look for the obvious when shopping for new camping gear or gifts for the outdoorsperson in our life: chairs, fire starters, coolers, gadgets, sleeping bags. 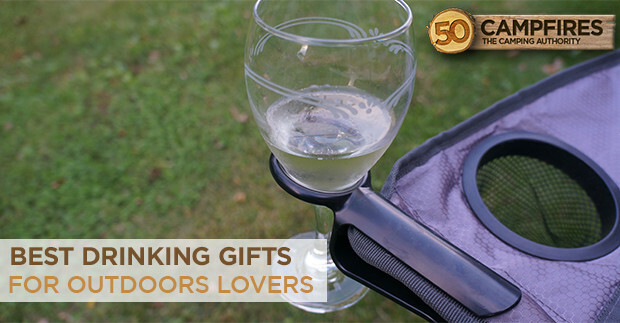 But what about the fun drinking gifts for the outdoors that are commonly looked over? Here’s a list of 10 best drinking gifts for the outdoors people in your life (or maybe for yourself). Though it looks like an iPhone, we assure you, it’s not. So next time you’re trying to be sly and stealthy, here’s the flask you need to waltz on by with your drink of choice. Buy it here. There are many flasks to choose from. But not all flasks are made equal. 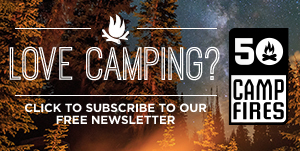 You’ll need one that is small, compact, and durable. 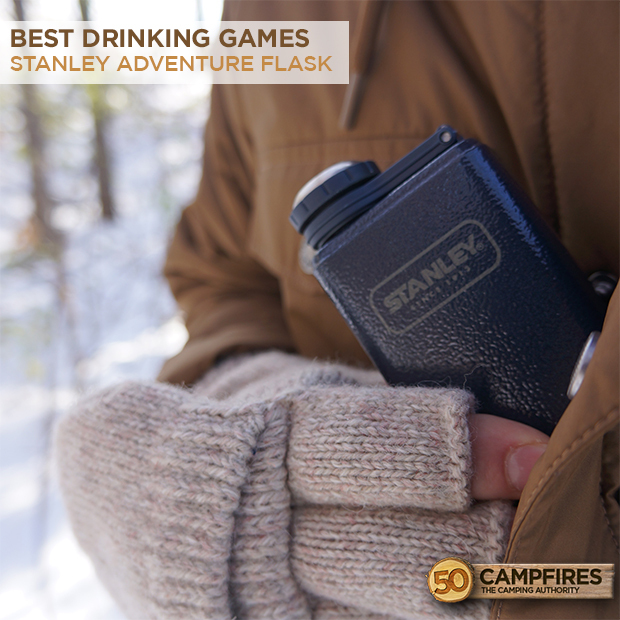 The Stanley Adventure Flask does just that. Buy it here. 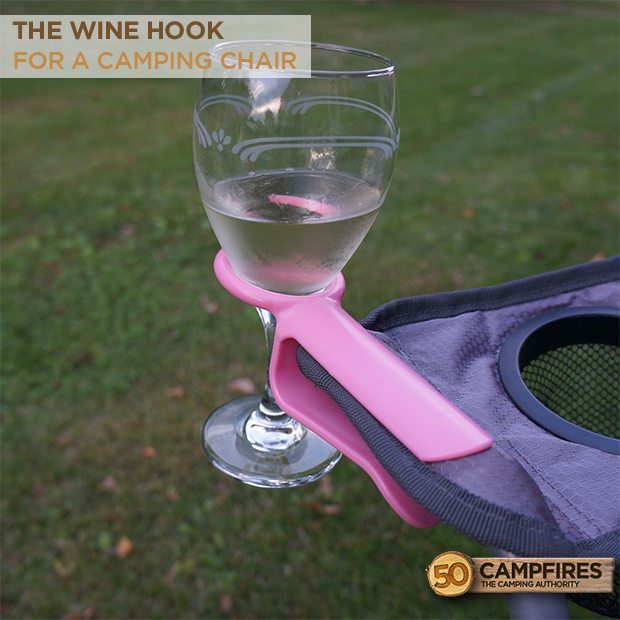 The wine hook is the best thing to happen to campers that enjoy a good glass of wine. It makes it easy to hook onto a camp chair and enjoy, rather than trying to make a wine glass fit in the original cup holders. Buy it here. 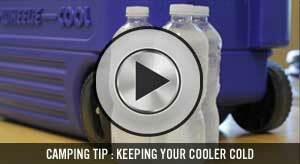 Not a fan can coolers, but don’t want to freeze your hand off caring a cold can all day? Have no fear. 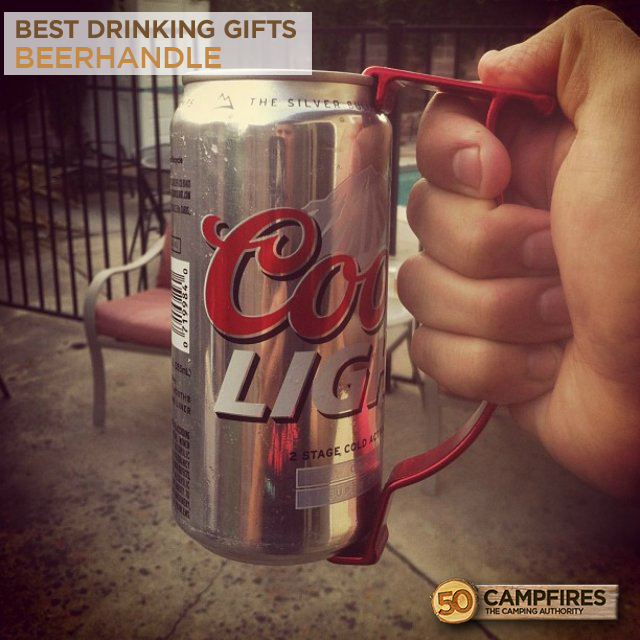 The BeerHandle changes that with a great little handle that latches on to your can. Buy it here. 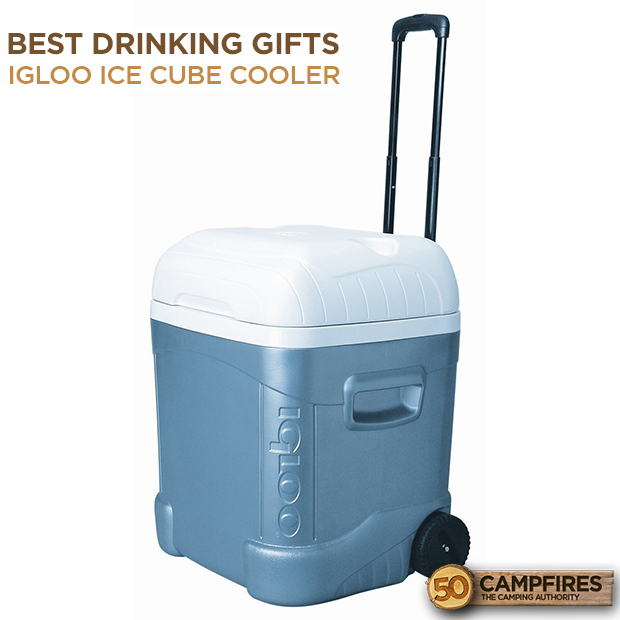 This unique 70 quart cooler is practically cube-shaped and includes smooth-rolling wheels and a locking, telescoping tow handle. The lid has two molded drink holders with a deep foam insulation. Buy it here. Soft case coolers are becoming more common. 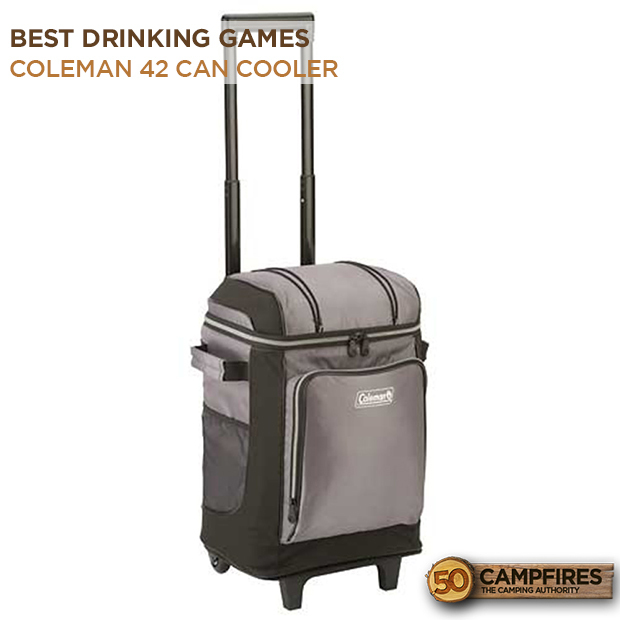 If you’re jumping on board, the Coleman 42-can wheeled cooler is a great addition. 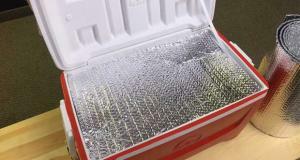 Although it is equipped with soft shell on the outside, it includes a hard liner on the inside. Buy it here. 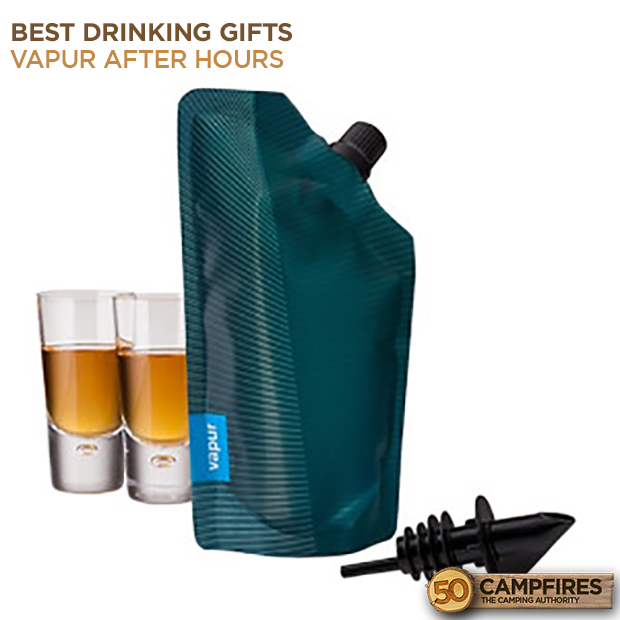 The Vapur wine skin solves many problems for being outdoors with wine. It’s common to see beer cans and bottles of liquor, but where do wine bottles fit in? 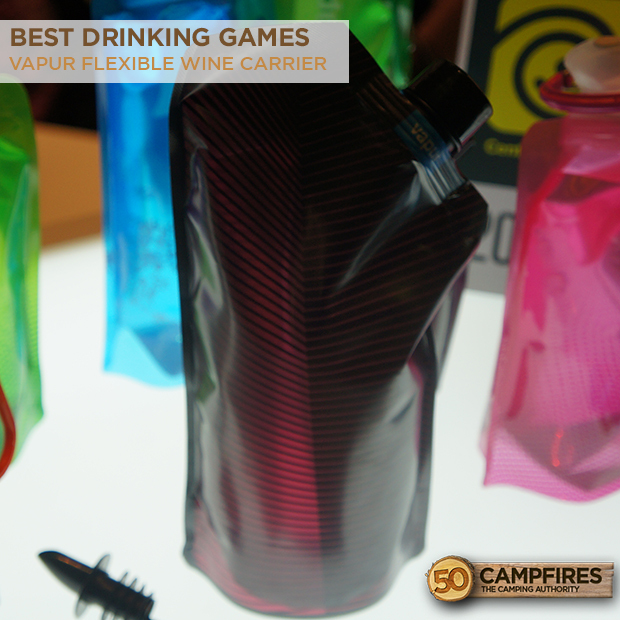 Now with this flexible wine skin, you can put your favorite spirit in the bag and be on the go immediately. Buy it here. The Vapur flask is a great alternative to the common flask. If you’re not a fan of a bulky, metal flask, then this might be for you. 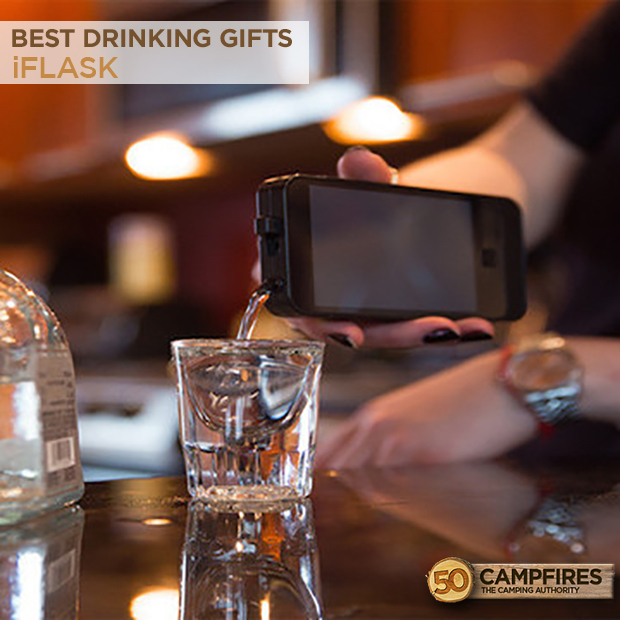 This flexible, durable flask is great whatever liquor you choose to walk around with. Buy it here. 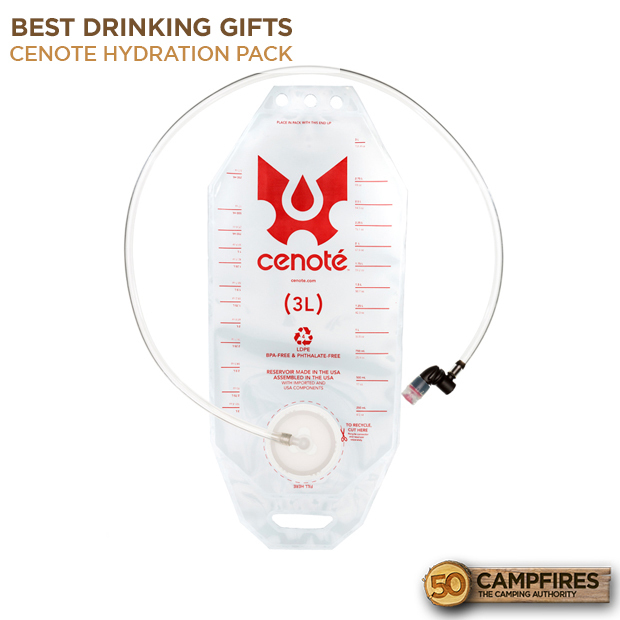 For your next backpacking trip or a night around the campfire with friends, the Cenote 3 pack is great for holding every type of liquid from alcohol to Red Bull to water. Buy it here. 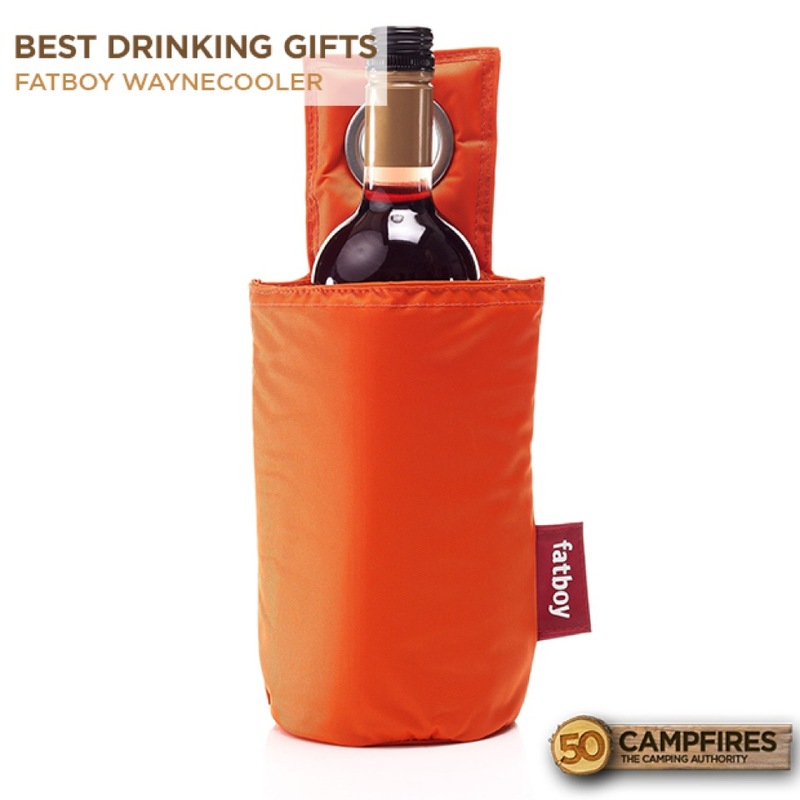 The Fatboy Waynecooler is great for when you’re on the go and need to keep your bottle of champagne cold. It has a sold ring to hold on to or latch and has an outer material that grips well, while keeping your drink cold. Buy it here.